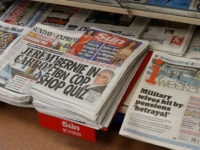 As the first module of the Leveson Inquiry into press ethics draws to a conclusion – Press Gazette has drawn up its own manfesto for change to help Lord Leveson, and Lord Hunt of the PCC, in their deliberations. Between them these two Lords have to come up with a new system of press regulation which responds to the outrage caused by the News of the World hacking scandal and which tackles those – and other – recent abuses by the press. Both have made clear that the industry itself has to take on board the need for change. So, from our unique independent vantage point spanning all forms of British journalism, Press Gazette has tackled the issues head-on and come up with our own manifesto for change. Our Journalism Manfesto goes far further than phone-hacking and calls for British journalism to gets it ethical house in order in a much wider sense. That means outlawing modern evils like lengthy unpaid internships and copy-approval, explicitly banning special treament for advertisers in editorial and asking all professional journalists to sign up to a simple pledge. Please take this opportunity to make your comments known, because this really is a once in a generation opportunity to rebuild British journalism on new firmer ethical foundations. You can comment at the end of this article – and by writing to the Leveson Inquiry and Lord Hunt via the PCC. Both have said they want to consult as widely as possible before making their recommendations. The Editors’ Code should become the Journalists’ Code and it should be incumbent on all journalists – as well as all editors – to ensure that ethical boundaries are not crossed. This means that journalists who are pressured from above to break the code, without sufficient public interest defence, should have protection from disciplinary action if they blow the whistle to whatever body replaces the PCC – for ease we will call that new body the Press Standards Council (PSC). “I pledge to work to the best of my ability to ensure that my journalism is truthful, accurate and produced without favour to any special interests. If we simply take the high-minded view that private lives are henceforth off limits and journalists should instead concern themselves with ‘real’ news the results would be calamitous. Celeb-style content is driven by demand, so tabloid newspaper circulations would plummet yet faster. And we would be left with the nightmarish prospect of readers and viewers across the board being given a saccharin-coated Hello! or OK!-style view of the world – all pre-approved and arranged by celebrities and their publicists. This means the public good served by invading a person’s privacy has to outweigh the private harm that invasion does to individuals. Justifications could include exposing hypocrisy, dishonesty and/or illegality. Where we draw the line is going to shift. The courts clearly no longer view marital infidelity as heinous enough to justify exposure on its own whereas they would have done a generation ago. The PSC needs to be clear about where to draw the line and draw up detailed guidelines agreed by all sides of the media, broadsheets and tabloids, so that journalists can be clear about what best practice is. It should also make itself available for pre-publication advice in cases where journalists are unsure. National newspapers and other news organisations can no longer exercise power without any of the transparency they demand in others. The new PSC should issue guidelines to all news organisations on how to deal with press inquiries made of themselves. The standard should be the same which is applied to all public authorities under the Freedom of Information Act: legitimate press inquiries should be answered unless the public interest in secrecy outweighs the public interest in disclosure. As former Telegraph editor Will Lewis told Leveson, sunlight is the best disinfectant. Yet for many editors, the Leveson process is the first time they have answered questions on the record. The thought that leading journalists could need to explain their actions is a strong incentive to behave well in the first place and a deterrent to the kind of above-the-law arrogance which clearly took hold among certain individuals at News International. The PSC needs to insist on a new culture of transparency and should have the power to call editors in for public, Leveson-style, questioning if they consistently refuse to be field press enquiries. Leveson has not touched on this but Press Gazette knows that it is not uncommon for advertisers to gain preferential mentions in editorial as a consequence of their commercial spend. On the fringes of the consumer and B2B sectors there are whole magazines filled with ‘news’ articles and features which comprise paid-for advertorials masquerading as independent editorial. It is not unheard of for journalists freelancing for respected national newspapers to be given lists of advertisers who need to appear in consumer round-up style pieces. The PCC has historically had nothing to say about this. The PSC’s new Journalists’ Code needs to explicitly outlaw this practice and ensure that all paid-for content is appropriately labelled. In exchange for the press taking on a new self-imposed tougher regulatory regime, the Government needs to ensure there is protection for responsible journalism on matters of public interest in the Libel Reform Bill which is expected this year. It also needs to tackle the ridiculously inflated libel costs, which are undoubtedly still chilling investigative journalism, by creating a new cheap, fast and fair dispute resolution service for libel. The current cost of defending a libel action at trial has been estimated at in excess of £2m, a cost that no publication can afford in the current climate. The dispute resolution function of the PCC needs to be retained as part of a new PSC with sharper teeth. 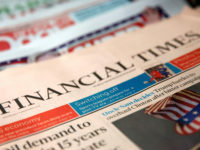 Press Gazette doesn’t see the case for fines per se, because some wealthier titles could just see them as the cost of doing business and they could make the process excessively legalistic. But that said, the PSC will be costly to maintain and persistent transgressors should be required to make a greater annual contribution than those titles which keep their noses clean. A similar procedure to the no-claims bonus on insurance. The new body should also immediately abolish the system whereby it refuses to hear complaints from those who are separately pursuing legal action. As Lord Leveson noted, this does not apply in any other professional field. It should have the power to stipulate exactly where and how big corrections and rulings are published. When editors and/or journalists are found to have seriously breached the code it should have the power to call them in for a public Leveson-style televised interrogation. Membership of the PSC should comprise independent journalism experts representing the tabloid and broadsheet ends of the industry as well as consumer magazines, the regional press and business publishing. ‘Independent’ means they are no longer in the pay of a publisher. There should be regulatory experts on the body and there should also be other independent figures from a variety of walks of life. Representatives from the journalism industry should be in the small minority. It needs to be independently constituted so that it is run not by the publishers – as is the case with the PCC – but by a fully autonomous and independent board, charged with upholding the highest standards in British journalism as its founding principle. While we are cleaning house – let’s end the practice whereby aspiring journalists are expected to work for months on end without pay on ‘internships’. It means that only the comfortably well-off who can afford to work for nothing are able to get their foot in the door at certain publications – and, apart from anything else, it’s against the law. Work experience should carry a two-week limit. Longer that, it becomes work and should be paid. This is difficult to outlaw but the PSC should strongly discourage it in its Journalists’ Code. The pernicious practice whereby celebs and their agents are given final sign-off on features and pictures is a betrayal of everyone who has ever fought and suffered for a free press in this country. It is a highly contagious sickness because it means everyone has to drop their standards in order to attract interviews with the high-profile figures that readers demand.